Yu-Gi-Oh! : New game for Nintendo Switch! It's probably like Legacy of the Duelist? Since it's titled LOTD: Link Evolution. Story Mode - with different stories for each arc. They re-tell the anime and you get to either choose the story deck (which changes per duel) or your own deck. The first duel of each story is a tutorial on aspects of dueling (OG is like the general rules, GX is fusion, 5D's Synchro, etc). Draft Play / Sealed Play - you can buy Battle Packs from the card shop (Epic Dawn, War Giants 2), and use cards straight out of those boxes for a duel. Multiplayer - online dueling with ranked duels, fun duels and also the draft/sealed duels. It's probably like Legacy of the Duelist﻿? Since it's titled LOTD: Link Evolution. yes its the official rules. The original was like £15 and then had like 50000000 DLC packs with extra cards that came out after it and adds a few more duels. So this one will probably be the same; a budget initial game with tons of DLC for future card releases. The original is hard to play for fun because all the good cards for old archetypes came out after they stopped doing DLC. I was playing it yesterday and this was the best Dark Magician deck I could do since Eternal Soul / Magician of Dark Illusion / Dark Magical Circle aren't in the game. Hey guys can you help me create a deck to fully utilize Ruka's potential and Ancient Fairy Dragon in Duel Links? I’m still pressed that Sisters of the Rose didn’t give us a Harpie Lady Sisters retrain. I’m guessing it’s just a matter of time. What are your favorite retrains? there's so many. i love all the retrains/card evolutions. YAAAAAAAAAAAS Komoney better promote those new Soulburner structure decks! Omg poor Kween Blue Maiden next week! I don’t think there really is one. I'm rewatching Arc v and there are still so many cards I want! YALL. NEW SPEED DUEL BOOSTER!!!! Kaiba's skill based on Crush Card Virus, Joey's skill a gamble skill. They're really coming every 2 months omg my wallet IM SHOOK. Pre-ordering 1 booster of Arena of Lost Souls now!!! I wonder how the rarities will work? We know its 34 commons, 8 supers, 8 ultras. and we know its 36 packs in a box with 4 cards per pack. Would it be 3 commons in every pack and then either a guaranteed super or ultra?? if it's that then you're probably better with 1 box + the rest singles but idk. Also bought a lot of accessories today. Bought one of these to hold my regular decks + speed duel decks. Hoping it ain't too big or too small. Bought two of these to hold my trunk since i feel like having everything in one place is better than using the Legendary Collection boxes for it. One for Speed Duel, one for regular. and bought one of these (coz there was only one left). "25 standard cards" - I'm wondering if it's appropriate for my Speed Duel decks. Altho not sure coz standard =/= sleeve but then again Yugioh cards are smaller in general than "standard" TCG cards. Hoping to buy 12 of these (6 for my Speed Duel sets, 6 for the starter sets) and use them. If not, I'll use the 50 count i guess. Also gonna buy 100s for my main decks, but gonna order those with either more 25s or some 50s, depending on if these are appropriate. @RihannaRTT I'm probably going to buy 2 boxes of AOLS! I've been rewatching Yugioh DM and I'm on the Battle City arc! The Yugioh DM duels are just so iconic! Just rewatched Yami Marik vs. Bakura! There are 36 packs in each box so that's a plus! They’re giving us the Golden Castle of Stromberg cards in DL which is cool but also useless because GCoS isn’t useable in this format. Shinji's Battlewasps are being printed in CP19! There's also a new Fortune Lady Tenki card, and a new Yosenju trap! And the Marincess cards are being printed! You can only use each effect once per turn. When you draw this card: You can reveal it; Special Summon it. You can only use each once per turn. If you control no monsters: Activate this card by targeting 1 FIRE monster in your GY; Special Summon that monster, and if you do, equip this card to it. It gains 500 ATK. When this card leaves the field, destroy that monster. If this card is destroyed by an opponent’s card card effect: You can banish 1 monster on the field. If you control a “Marinecess” Link Monster: Target 1 face-up monster your opponent controls; negate that monster’s effects until the end of this turn. In addition, if you control a Link-2 or higher “Marinecess” monster, all face-up monsters you control become unaffected by your opponent’s card effects until the end of this turn. When a “Marincess” Link Monster you control destroys an opponent’s monster by battle: Inflict damage to your opponent equal to 400 x that monster you control’s Link Rating. In addition, if you control a Link-2 or higher “Marincess” monster and the opponent’s monster that was destroyed was a Link Monster, inflict damage to your opponent equal to the destroyed monster’s Link Rating x 500. 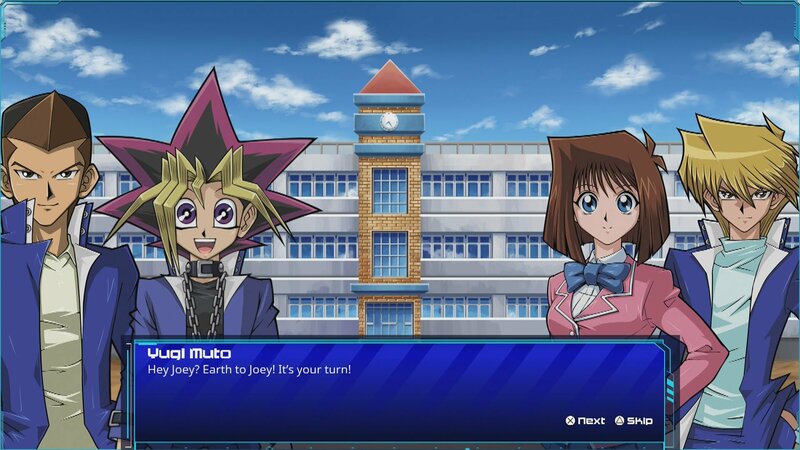 Wait duel links is out for the switch?